He’s getting laid more than James Bond, he kills more villains than James Bond, he’s dressing cooler than James Bond and he’s more black than James Bond… He’s Slaughter! After his latest showdown with the mob in Mexico, there are still people after Slaughter. After an airbourne assassination attempt on our hero, killing other people, Slaughter stays on the side of the police and gather himself as a one man army once again. He’s after the syndicate boss that wants him dead, but also his pay-list consisting of crooked politicians and cops. A good Blaxploitation flick with what you need of racist henchmen, horny white chicks, stereotypical chinese guys, funny pimps, corrupt cops and cool black dudes. It’s the follow up of “Slaughter”(1972). 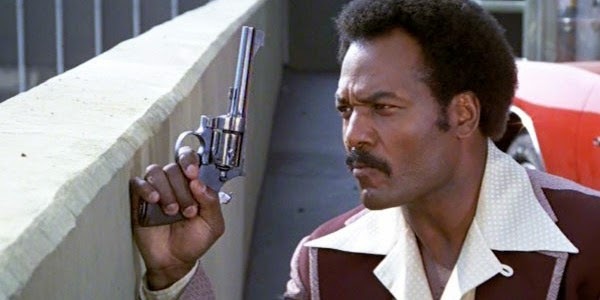 Jim Brown is back in his role as the hard-hitting “Don Juan”, Slaughter. 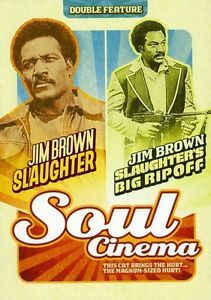 A groovy soundtrack as always in these movies and plenty of vicious action and funky love-making. Continues on the same note as the first one. If you liked “Slaughter”, you’ll dig this one.